Rumson drivers love having a vehicle they can depend on, and a used AWD Jaguar model works well. After all, not only do these vehicles cost significantly less than a new Jaguar model, but they’re also extremely dependable in any weather condition and on any terrain, so you can experience excitement at any time and in any situation. Used AWD Jaguar models are available for all Colts Neck drivers looking for something fun, attractive, and dependable. Simply visit Jaguar Monmouth today to see why the Jaguar name has been providing luxury and responsible vehicles to all drivers for years. 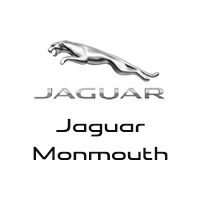 No dealership has an extensive used AWD Jaguar inventory like Jaguar Monmouth. In fact, no Holmdel-area dealership has the same dedication to quality and service like Jaguar Monmouth. When you want a used vehicle you can depend on, and one that complements your specific style, be sure to check out our used vehicle inventory today.